As any entrepreneur will tell you, running a business is not easy. It can be extra challenging for mothers who also run a household. But Stifanny Guira-Falconi believes that mothers are very capable of accomplishing every task entrusted to them – be it at home, in the workplace or anywhere else. When it comes to multi-tasking, Guira-Falconi knows what she’s talking about. 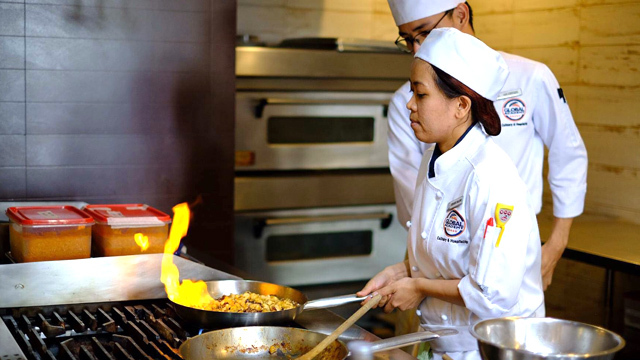 She not only owns and manages two different businesses in Davao City, but she is also in the midst of completing a Manila-based culinary course while homeschooling her daughter and completing plans for another major business venture set to open next year. 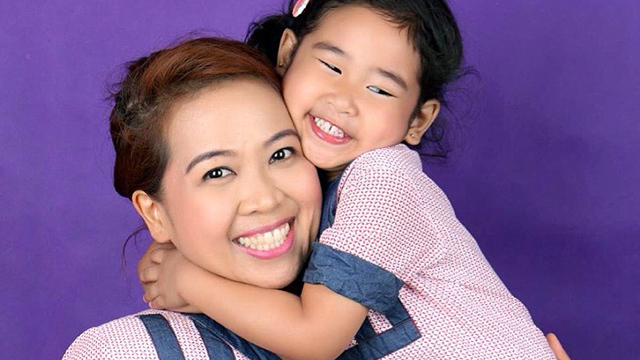 The Davao-based businesswoman comes from a family of entrepreneurs: her mother is a serial business founder who has set up around 20 ventures, and counting. Guira-Falconi herself is the managing partner of Hairzone Salon Professionals and Café Anabelle’s, both of which are located inside Abreeza Mall in Davao City, Ayala Land’s first shopping mall in the southern city. 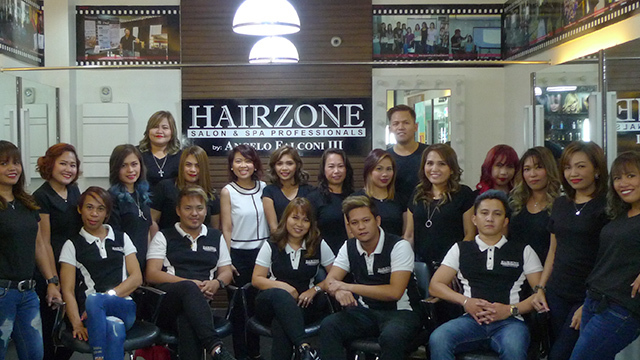 Hairzone is one of the city’s long-standing salons that has survived by adapting to new trends. “When we opened the salon, we envisioned having staff that was technically trained with the right skills in hairdressing, both in theory and in practice. This is made possible in collaboration with our creative director [and her husband], Angelito Falconi III, who is one of the few master color experts in the country, a previous L’Oreal Ambassador, and a world-trained hairstylist,” she said. 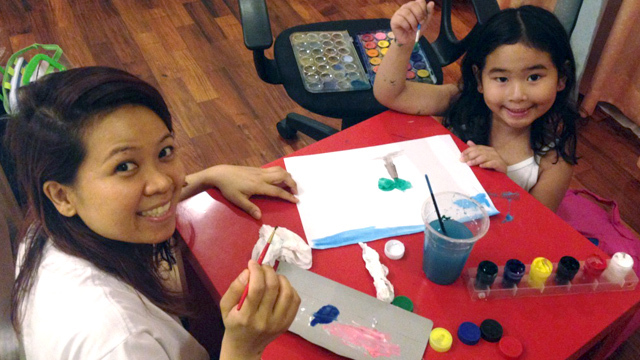 On top of managing the two businesses even from afar, Guira-Falconi is also a homeschool instructor to her daughter. 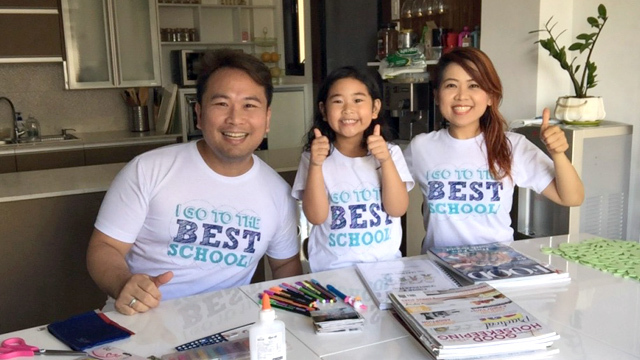 Because of their busy schedules and constant travelling, she and her husband decided to provide their child’s education from home. 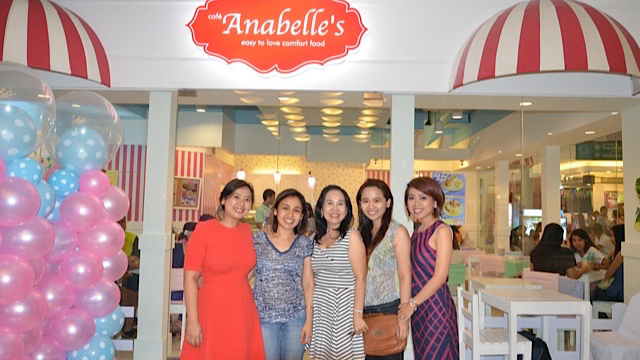 Typically, Mondays and Fridays are dedicated entirely to baking cupcakes, bars, cookies and French macarons for Café Annabelle’s. During other days, mornings are reserved for 1-2 hours of homeschooling. “We do the assigned subject for the day. We incorporate lots of active play and singing since my daughter is a kinesthetic and auditory learner. If it’s a Tuesday, my daughter and I have our regular “Tuesdate” after lessons.” In the afternoon, Guira-Falconi performs most of her work-related tasks such as responding to emails, visiting the stores, signing checks, meeting with and training staff, talking to suppliers, completing monthly reports, and attending industry-related events. By 6 p.m., she tries to be at home for dinner with family. She then prepares her to-do list for the next day and sneaks in some reading time before lights go out at 10 p.m.
“Weekends are mostly reserved for rest, church and family time – my siblings and I have a good number of kids altogether ranging from a one-year-old to a 12-year-old. We make it a point to create many happy memories with them while they’re still young,” she said. Guira-Falconi attributes her ability to pull everything together to her family background plus a lot of hard work. “I grew up seeing my mom and dad work hard every day. I can’t say that I’m talented in what I do now but I’m quite certain that I’m very hardworking. When I set my mind on something, I can really focus and work at it until it’s done. Having a vision is very important as well; you have to begin with the end in mind. With every new project I take in, I ask myself what kind of store it would be, what products it would sell, and what I would need to do to turn everything into a reality. From there I work backwards and identify every task that must be executed. And then I put together a team of consultants, suppliers and staff who could help me get to that vision. I also use the same strategy with my home and personal life. You should just be clear with your priorities and schedule your life accordingly,” she said. She graduated from Ateneo de Manila University and studied for a diploma in entrepreneurship in Australia. Last year, she also took a short master’s class in hotel management in Singapore in preparation for their new hotel project. With the booming tourism industry in Davao, Guira-Falconi’s next initiative – a boutique hotel with a lifestyle commercial complex – will be the latest addition to the value she aims to co-create in society. Chiara U. Mesiona is a Davao-based freelance business writer. Get in touch with her at chiara.mesiona.B2Bcopywriter@gmail.com.